How can I change or cancel an exisiting order? How can I know if my order has been confirmed? If you do not receive this confirmation email, (and you've checked your spam folder), it may be that your order has not been acknowledged. Please note that our business hours are from 9:00 AM to 5:00 PM (EST), Monday through Friday (excluding holidays). An email including an order summary will be sent to you as soon as your order has been processed. Once your order has been shipped, you will receive the delivery details in a second email. Clients with an IDC account can check their order status at any time by signing into their account and consulting the "recent orders" section. If you do not receive these emails, (and you've checked your spam folder), please contact our customer service at 1-877-543-8671. Please note that our business hours are from 9:00 AM to 5:00 PM (EST), Monday through Friday (excluding holidays). If you have not received your order after 14 days, please contact our customer service at 1-877-543-8671 to resolve the issue. Please note that our business hours are from 9:00 AM to 5:00 PM (EST), Monday through Friday (excluding holidays). Which payment methods are accepted by IDC? Are my purchases on idcdermo.com secure? Yes, absolutely. Our website is hosted on a secure server that encrypts and protects your personal information. Your paiement details, your credit card number for instance, are not stored in our database. Do I have to create an account before making an online purchase? No, creating an account is not necessary to make online purchases at www.idcdermo.com. However, having an IDC account will allow you to benefit from services such as accelerated checkout, creating a wish list, viewing past orders, etc. Furthermore, members who subscribe to our newsletter are the first to discover our new products, our special offers or our events. All your account information is protected and will only be used as part of your relationship with IDC Dermo. This information can easily be changed or removed by you at any time by managing your account online. My payment has been rejected, what can I do? To protect your security and privacy, your financial institution does not provide IDC Dermo with information as to why your payment was declined. You can determine the nature of the problem and solve these payment issues by contacting directly your financial institution. When will the amount of my order be debited from my bank account? The transactions are usually processed within 24 to 48 hours. Free shipping with purchases of $95.00 or more*. My package was damaged in shipment, what should I do? If your package was damaged in shipment by the carrier, please save the box and the merchandise and notify us immediately. The damaged items will be replaced. Do you ship outside Canada and USA? At this time, we ship orders in Canada and in USA only. Please click here to access our Return Policy. What is your return policy for unopened products? Your satisfaction is important to us. If for any reason you are not completely satisfied with products purchased on idcdermo.com, please follow these guidelines to proceed with the return. If the original packages have not been opened, you may return the products within 30 days of delivery date. Please include a copy of your invoice and a return slip with your order number, your name and your email address along with the returned products. All promotional items (free samples, gifts with purchases, etc.) must be returned. In the case of gift sets, all items in the gift set must be returned in order to receive a refund, items will not be processed separately. Products specified as non-returnable cannot be returned for any reasons. Immanence Intégrale Dermo Correction inc. Original shipping and handling charges are not refundable. Shipping and handling charges are at the customer’s expense unless the return is the result of an error made by IDC Dermo (defective item, incorrect item, etc). It is recommended to choose a method of shipping with tracking and insurance as IDC Dermo is not responsible for lost or missing packages. Please allow 15 days for the return to be processed. Returned products that do not meet the return policy criteria will not qualify for a refund and may be returned back to the customer at the customer's expense. Do you accept returns of opened products? Unless the products are defective, returns are not accepted if the original package has been opened. In this case, please contact our customer service before proceeding with the return: 1-877-543-8671. How long do I have to request a return? Products must be returned within 30 days of delivery date. Can I get an online refund for a product I purchased instore? If you would like to return a product that you bought in stores, we invite you to visit the point of sale where you bought it. Can I get an instore refund for a product I purchased online? Purchases made online will not be accepted for return in store. Please contact our customer service to proceed with the return. What are the business hours of your customer service? Our offices are open Monday through Friday from 9:00 a.m. to 5:00 p.m (EST). Can promotional offers be combined? No, promotional offers cannot be combined. You can enter your promo code at checkout. Before confirming your order, enter your promotional code in the input field on the right-hand side of the checkout page. Once a valid code is entered, the offer will be applied to your shopping bag. Please note that promotional codes are available for a limited time and cannot be used once expired. In certain cases, promo codes can be limited to one per customer. How do I create my IDC account? What can I do to recover my password? You can request a new password from the "Sign In" section of the site by clicking on the "forgotten password" link. Once you have entered your registered email address and confirmed your request, you will receive an e-mail to set a new password. You may sign in here. You may do so by signing in here and visiting the "My account" page. My email address seems invalid when I try to sign in, what should I do? If the system does not recognize your email address, it is probably because you haven't created an account with IDC yet. You may, for example, have processed your last order as a guest and not as a member. You can easily create your account here. How can I subscribe to IDC newsletters? You can subscribe to our newsletter here by entering your email address and clicking the check box "subscribe". How can I unsubscribe from IDC's newsletters? What are the benefits of having an IDC account? Having an IDC account will allow you to benefit from services such as accelerated checkout, creating a wish list, viewing past orders, etc. Furthermore, members who subscribe to our newsletters are the first to discover our new products, our special offers or our events. Your IDC Dermo account allows you to view your order history. To do so, sign into your account here and click on "My orders" in the drop menu. Some other benefits of creating an account: accelerated checkout, creating a wish list and exclusive offers to members!. Can I have my order shipped to an address other than my billing address? You may add a new address to your address book at all time by visiting the My account page. You may also request that your order be shipped to a different address than your billing address during checkout. No, none of our products have been tested on animals. It depends on many factors such as your skin, its metabolism, your age, genetic or your cosmetic routine. If you follow the IDC routine morning and night, some people will see results within a week on the suppleness and clarity of their skin. However, skin’s renewal takes a minimum of 28 days and this process increases over time as you age. It is therefore expected that a minimum of 4 weeks is needed to see visual anti-aging results. It depends if you apply your product morning and/or night and on your face, neck and/or eye contour. In average, your IDC product will last 2 months. Concentrates and cleansing products will last longer. How do I know which products are right for my skin? Most of our anti-aging products are formulated for all skin types. However, we do have specific products designed for specific skin types such as sensitive skin or combination to oily skin. We suggest you select the proper “Skin concern” you wish to attend to in the “Skin care” menu on our home page. If I stop using the products, will it reverse the improvements in my skin? It will not reverse the improvements in your skin overnight. Nonetheless, since IDC’s unique global anti-aging approach is a question of bringing back skin’s youthful equilibrium, if you stop using our unique REGEN(16) technology, your skin will eventually go back to its previous state. You will, therefore, eventually lose the gained benefits. It is like going to the gym. If you stop sending your skin to its twice-daily gym visit, the benefits will not last. Can I use IDC products with other skin care products? Technically, you can. 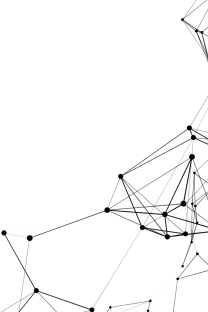 However, our unique REGEN(16) technology and other ingredient complexes have been created to work in perfect synergy for safe and optimal efficacy. Can you go out in the sun after using IDC? Yes, you can, but know that sun exposure is the number one cause of premature skin aging. Since IDC is all about preventing and reversing the appearance of signs of aging on your skin, protecting your skin against UV exposure is key. 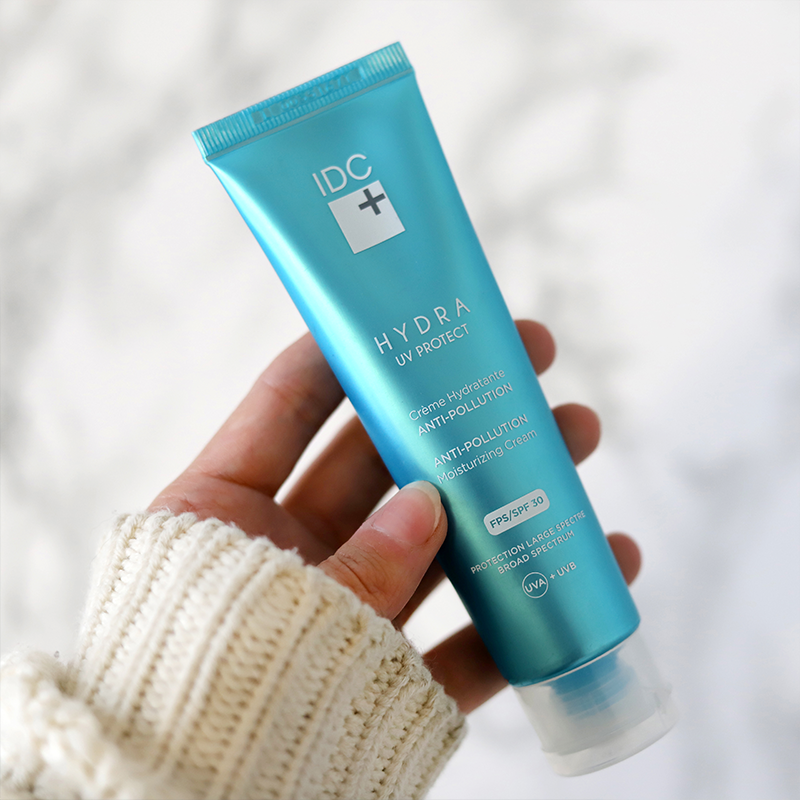 We suggest you apply IDC Hydra UV Protect at the end of your IDC beauty routine every morning. Can you use IDC if you have rosacea? Yes. We have a product specifically designed to diminish skin redness. Ultime Comfort has been clinically tested on sensitive skin and reactive skin to bring immediate and long-term results at concealing and diminishing the appearance of skin redness. Can all skin types and colors use IDC? Yes, they can. Most of our anti-aging products are formulated for all skin types and color. However, we do have products designed for specific skin types such as sensitive skin or combination to oily skin. We suggest you select the proper “Skin concern” you wish to attend to on in the ''Skin care'' menu of our home page. Can you use IDC if you have acne? Yes, you can. Regen Express Mat, our all-in-one cream-serum for combination to oily skin, can help restore the equilibrium of these unstable skin types. Can you use IDC before or after a treatment (e.g. chemical peel)? With its REGEN(16) technology and its numerous complexes of cosmetic ingredients, IDC helps bring back youthful balance to your skin by targeting all 16 known signs of skin aging. However, it not suggested applying an IDC product on irritated or inflamed skin. Are the products safe to use when pregnant or nursing? The products have all been tested for their safety. Since every pregnancy and nursing experience varies, if you have a specific health condition, it is suggested to seek advice from your doctor or pharmacist before using the products. How long can the product safely be kept unopened? IDC’s product expiration dates varies from product to product and can be found on the product’s bottle. How long can I keep and use a product that has been opened? Once an IDC product has been open, it has to be used within 6 to 12 months. Each product is different. You will find the specific open shelf life information on each bottle where an open jar logo appears along with a number. The number represents the number of months we suggest you have to use your product. Can we extend shelf life it with refrigeration? We have not tested the shelf life of our products with refrigeration, therefore cannot attest that it would extend shelf life. Does IDC offer a guarantee on its products? IDC’s products have been tested for their efficacy and customer’s appreciation. If you are not satisfied with your IDC experience, please contact our customer’s service. Where can I find the lists of ingredients online? The list of cosmetic ingredients for each product can be found in the product section. In what order should I apply products? The products from IDC’s Pure Collection should be applied first as they are designed to cleanse, purify and exfoliate your skin. After using our Pure cares, your skin is clean and ready to receive the following anti-aging and moisturizing care. 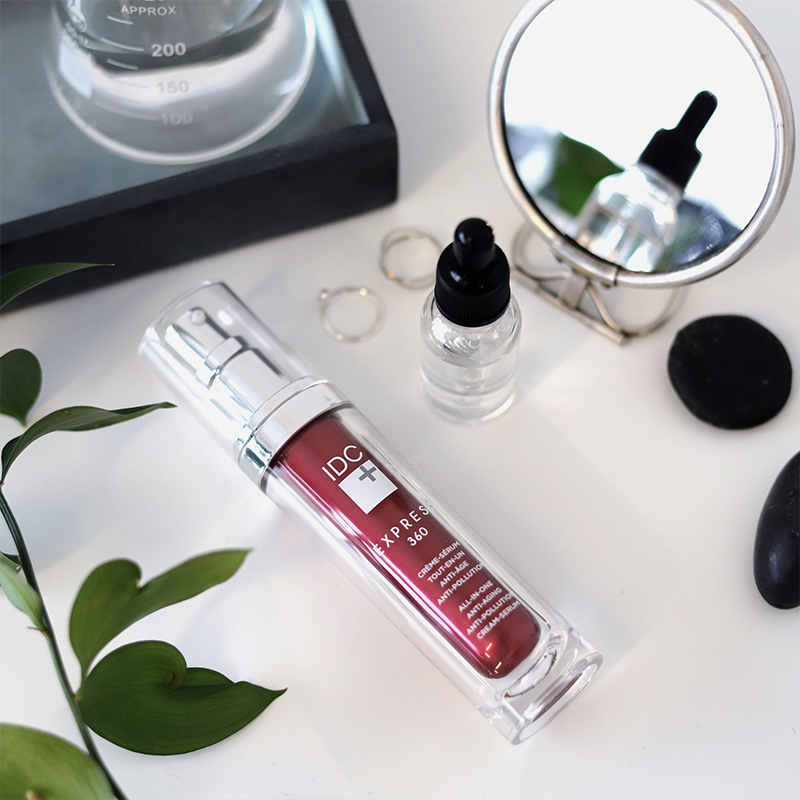 When needed, a Boost fortifying serum should be applied next as it will boost your skin’s energy level and receptiveness to the following products. An anti-aging serum and/or anti-aging cream comes next, along with specific products such as eye contour or targeted deep wrinkles care. When additional hydration is needed, a product from the Hydra Collection (with or without UV protection) should finish your beauty routine for your face. 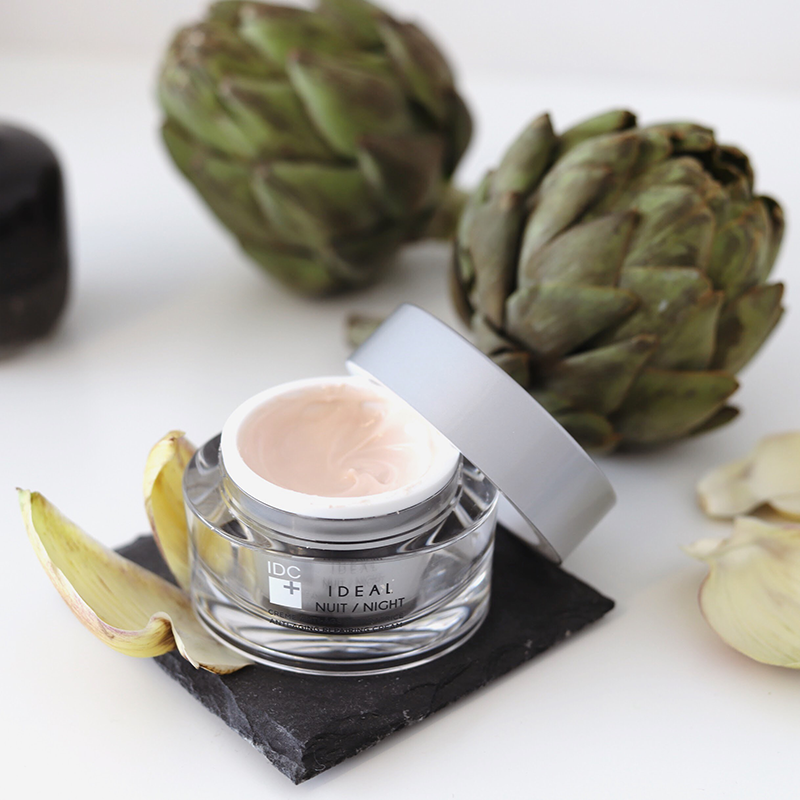 Note that IDC is also offering concentrated all-in-one cream-serums products in its Express Collection. 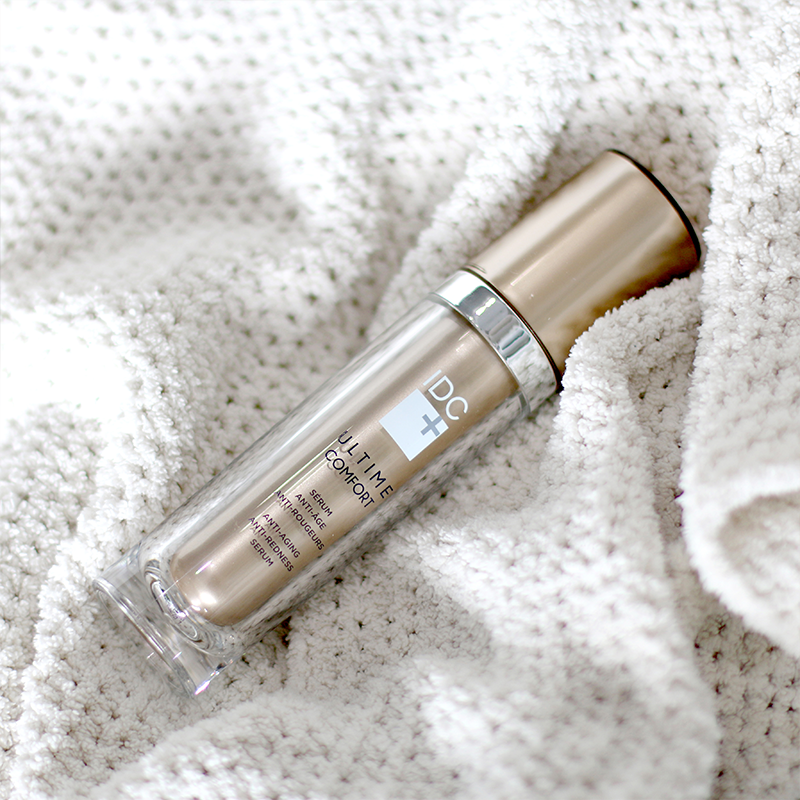 These time savers combine the anti-aging benefits of a serum to the moisturizing effect of a cream. They can be applied morning and night on the face, eye contour and neck, simplifying your beauty ritual to a product from the Pure Collection and one from the Express range. Do you have natural sunscreens in your products? Yes, all UV filters we use in the formulation of our Hydra UV Protect are minerals from natural sources that give a broad spectrum protection against UVA and UVB exposure. Where do the cosmetic ingredients used in IDC’s products come from? IDC uses different sources for their cosmetic ingredients: plant and marine extracts, peptides, vitamins and biotechnology-derived ingredients. The main criteria when selecting specific ingredients are safety, efficacy, stability, and sustainability. I have sensitive skin, can I use IDC products? Yes, you can. Sensitive skin is known to be an imbalance skin type. IDC’s exclusive REGEN(16) technology can help bring strength and youthful equilibrium back to sensitive skin. Moreover, products like Ultime Comfort and Express Sensitive, with their unique anti-redness and sensitive skin complexes, would be designed for this skin type. Are the IDC serums and anti-aging creams different from each other even though they are all formulated with the exclusive REGEN(16) technology? Yes, they are since each product also contains a unique complex of cosmetic ingredients that works in synergy with REGEN(16) to better target specific skin concerns.